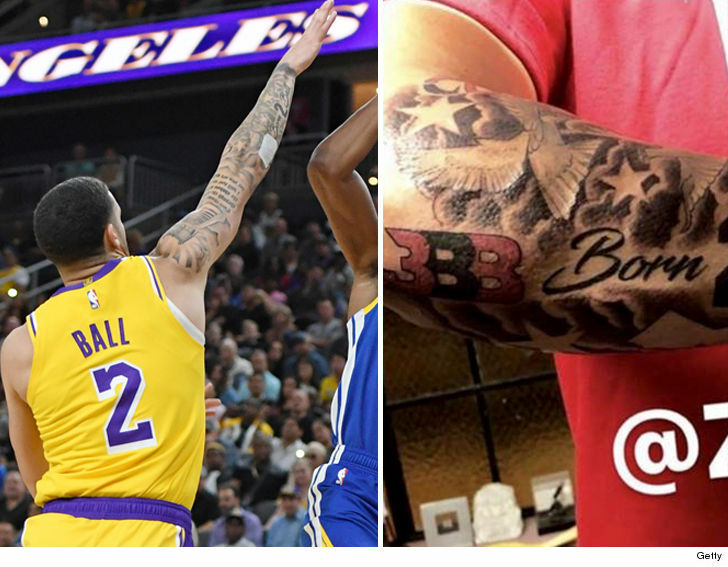 Lonzo Ball's famous Big Baller Brand arm tattoo was covered up during his pre-season debut with the Lakers on Wednesday night ... and it's all because the NBA asked him to keep it under wraps. Just like J.R. Smith, the NBA reached out to Ball about his tattoo -- and reminded him about a league rule that prohibits players from "displaying any commercial logos or corporate insignia on their body or in their hair." Smith has the "Supreme" logo on his right leg -- and said the NBA told him he'd be fined for every game it wasn't covered up. 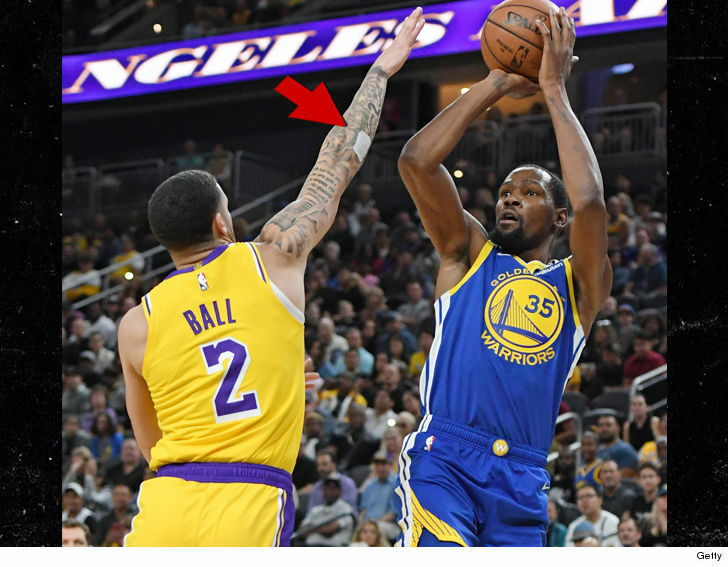 Since the same rules apply to Ball -- with BBB being an apparel brand -- the Lakers tell us he decided to put tape (it could be a bandage) over the logo while the team played the Golden State Warriors at T-Mobile Arena in Vegas. 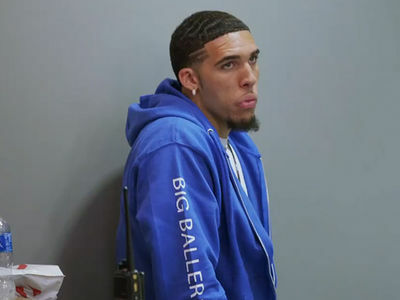 Ball could probably afford the fine since he's in the middle of a $13 million contract -- but ultimately decided it just wasn't worth it. As for J.R. Smith, he covered his tattoo with a piece of tape when the Cavs played the Pacers in Cleveland earlier this week. LaVar Ball Launching 'Baby Baller Brand,' Putting Lonzo's Kid to Work!